Kajal got an exclusive first listen for Essar’s upcoming EP, to be released March 17th. In the dripping everglades, there is a girl laying on her back watching her ceiling mold as she finds air in the softly spiraling interlude, “Kabul Ta Zo,” scored with city horns and market voices. Her bronchioles relax and a corporate executive 1,000 miles away hears crickets again for the first time in “Love Letters to the Moon in Teentaal.” In a Northern trailer, a man dedicates the silver eclipse to his downtown lover as he prepares a meal to the cues of a tambur in his wait. Qais Essar’s I Am Afghan, Afghani is Currency, Vol. II: Beltoon does something rare. It envelops, opens, and holds us. It sensitizes a buried or blanketed soul like a clean, stuccoed wind ribboning a cheek. There is a nostalgia prompting us to homes lost and inhabited and a thoughtfulness grounding us in the diversity of our moments. Last year, Essar and his playing partner, Neelamjit Dhillon, caravanned what they dubbed a Racist States Tour. “We would go and play in churches and gave townhall talks as brown bearded guys, you know, scary people. We thought it would be a rad way to build community,” said Essar. Essar told Kajal this this is his most traditional track set to date. He started working on the tracks on election day and finished the album right before President Trump’s inauguration. He knew he had to create to resist. 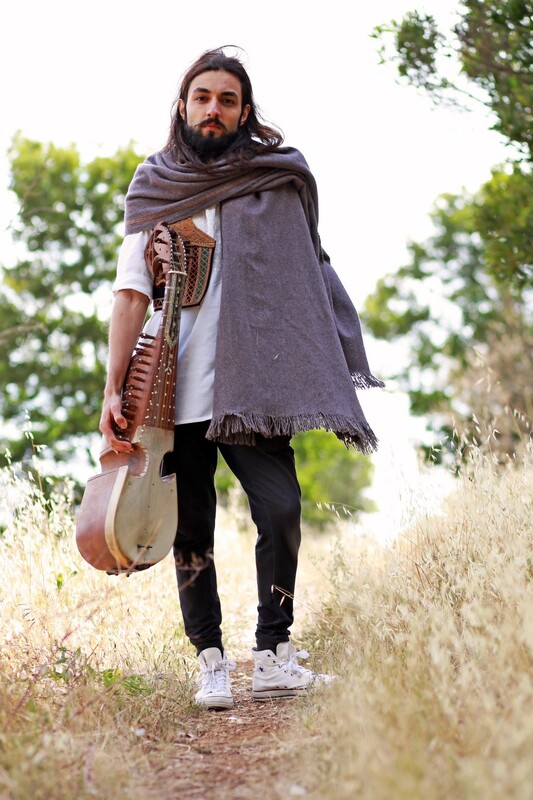 For Essar, that meant revisiting the folk music he had created for I am Afghan…’s first volume in 2015. He also wanted to revisit the sounds from his childhood. The album is additionally available on cassette because that’s how he listened to music when he was a kid — from the tapes his dad brought with him as a U.S. refugee from Kabul. Essar wanted the vintage medium to emote this experience. “I know fidelity is way worse on cassette but it has a nice warble to it,” he said. He said there is more music coming, pushing back against those who advise him to not put too much out there. “Well, you have to at this point,” he said. For Essar, reclaiming his identity through his creative birthright and performing for diverse audiences is his activism. Essar speaks in a youthful lilt and with a modesty that betrays his public face. He is one of eight notable rabab players in the world. His 2014 album, The Green Language was a #1 bestseller on Amazon.com. He has performed all over the world, including Somalia, Kenya, Brazil, and Canada. Essar is a budding Ustad; his masterful, empathic transmission of sound is comparable to Nusrat Fateh Ali Khan and Zakir Hussain. And all the while, he is our contemporary. He explained how the title, I am Afghan, Afghani is Currency, was a cheeky testament to the objectification of Afghani culture and people. “Afghani is [a word] commonly used for inanimate objects, like an Afghani rug,” he said. He said for many of his shows, it is the first time people “see a real life Afghan person, let alone a rabab artist…[people will say,] ‘I didn’t know you people did this — I thought music was banned.’ They’ll start talking about some BBC special and the Taliban they saw.” I could hear a waving of his hands. “It’s the same reaction I’ve always got,” he said. The first half of the album is in Raag Bhairavi, an early morning raaga often described to be the most melodious because it layers all of the notes in other raagas. Yet, Essar noted semantics often fail the spiritual resonance present in classical Afghan and Indian poetry, which is aurally inseparable from musical form. He said raag is not comparable to any Western musical style. But he doesn’t discount one for the other. “I work with lot of Western sounds but I always starts with an Eastern perspective,” said Essar. The bhag, or modular segments, are in the theme shanti (peace). That is where he says the soul of the music lives. Listening to the instrumental narrative was like opening Jan Brett’s The Mitten, an illustrated storybook from my childhood where I could hear my own pressurized steps through snowy hills, depicted by a million fluted, half-millimeter lines. Just as well, there is a world in I am Afghan…Vol. II’s technical dexterity. “Love Letters to the Moon in Teentaal” is the album’s 15-minute zenith punctuated by tabla, rabab, and paucity. The halts — breaths between half-second notes — unfold the melody. These spaces are called andolans — slow, meditative, single-note oscillations exalting into starry timbres as the track continues. The finale, a recording of crickets itemed by highway and helicopter sounds, is a generously timed svasana that makes you go, mmmm. Essar with rabab in tow. Essar is playing tribute to Beltoon, an Afghani singer from Kabul whose music reflected the Kharabat style. Kharabat ye Kabul is a historical music quarter of Hindus and Sikhs, long educating famous Afghani musicians in the Indian Patiali school. The lapping, deliberate acuity in “Sohbat Kabul Kawe” completes Essar’s sonic thesis. Intuitive mapping of each track evidences an artist who has keen attention for his craft; one who carries the kind of unshakable consciousness bursting a sun’s warmth. Essar’s medicinal tones lull the brain’s amygdala and hippocampus to a quiet, structures that register emotions, especially anxiety. The processing is left to the body. And that is when we come home. I am Afghan…Vol. II is a balm that eases the impinging boundaries of physical and political space. He remembered driving through the Arizona desert with Dhillon as he worked on the album through the thick of the election. Dhillon studies under Zakir Hussain. Essar said Dhillon is like a brother but he explained the history they share is “a little painful.” There is continued resentment between Afghan Sikhs and Muslims. This is why Essar and Dhillon focus on interfaith performances across diverse houses of worship. They try to bring awareness to the continuing current and aftermath of religious conflict. *Editor’s note: A previous version of this article incorrectly stated that the first half of the album was set in Raag Pahadi. The mistake has been corrected. I am Afghan, Afghani is Currency, Vol II: Beltoon is available for pre-order on iTunes and Amazon.